Well our trip to Tucson is winding down. We leave tomorrow night. My other love is soccer and several MLS teams are training here in Tucson so I may have to stop by and check it out tomorrow. Today we started at the Kino Electric Park show. I always stop and visit Cindy, Jennifer and Jason at World Bead Mine (formerly Royal Quality Gems). I got some lovely beads but I'm afraid they're already packed up so no pictures of those. I did get a picture of Cindy and her son Jason. Jennifer was feeling under the weather so she stayed at the hotel today. There are always interesting things to see at the Kino show. Here are some very cool carvings in antlers and bone made in Indonesia. This metal javalina family and barrel cactus were just so cute! And you can always find gemstone rough here. 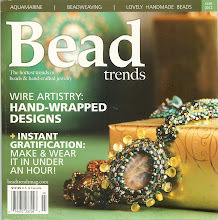 After Kino we did a quick run through the Best Bead Show. That was a bit disappointing since some of our favorite vendors are no longer there. We next headed to the 22nd Street show. We love to visit with David Otteson of Broken Arrow Mine. I got a lovely earring/pendant cab set of ribbon turquoise (but those are packed away too :) ). Here's David. We also saw some gorgeous sunstone from the Dust Devil Mine and they had this cool rock candy dispenser. You just put your hand under it and some candy coated chocolate rocks drop down. It was pretty good too! And there are always cool gems, rocks and fossils to see at this show. I thought these rows of tourmaline crystals looked pretty cool. And this show always has fossils. Our last stop was at the JG&M Simpson street show. I owed Toyo Feng one of the cookies my hubby made and kept forgetting to take it to him so I had to visit him one last time. I also ended up buying a few more beads :) I found some fossil coral in a cool shape and some green turquoise for a friend in England. Since I've forgotten to take a picture with Toyo I finally got one. Today we had a busy day. We started at AGTA, then went across the street to GJX, then around the corner and under the freeway to the Pueblo show, we made a quick stop with my favorite turquoise guys and ended the day by having dinner with an old friend. What is amazing is I remembered to take some pictures! AGTA is always interesting with lectures, demonstrations, some seriously high end gems and jewelry and interesting exhibits. I did forget to take picture of the exhibits. This year they had some of gems and jewelry from the Smithsonian Institute. The gorgeous and huge Logan sapphire was just one of the treasures in the exhibit. We walked across the street to the GJX show. There I visited some of my favorite cab cutters Donald K. Olson. They're from my neck of the woods in Bonsall. I went in search of some interesting cabs for a friend of mine in England and I found a couple including this cool black and white fossil coral. We wandered around the show ogling at all the GORGEOUS diamonds, emeralds, sapphires and a multitude of just about every fine gem imaginable. We were totally amazed by the creations of Peter Mueller. His sculptures are made completely out of gemstones. That little quail in his hand has a dumortierite chest, onyx beak, white quartz ring around the neck and so much more! Next up was the Pueblo Show at the Riverpark Inn. I had to visit Yaushing Gems since they have very reasonably priced gemstone, half drilled drops. Here are some of the drops. And here are the wonderful people who helped me as I searched for drops for myself and a friend in Australia. We then wandered around the show and saw these amazing gemstone things. I stopped with another favorite vendor of mine, Thomas Schneider (another one from San Diego), to see if he had any Afghanistan aquamarine crystals that a friend of mine wanted. I found hers and some pretty ones for me! We made another visit to our favorite turquoise guys (Nevada Turquosie) to say hi to dad! Since I didn't get a picture when we visited with Shellbone earlier in the week I took one today. And that's all folks! It's time for this chick to hit the sack. Later gaters! Last night I was just too tired to post anything. My long days and short nights caught up with me so I went to bed about 3 hours earlier than normal. But I'm back at it tonight. :) Last night we had dinner at Caruso's with some of my jewelry making/gem buying friend. Good Italian food and good friends made for a good time. Here are some of the gorgeous things I got yesterday in Gem Mall. I just LOVE the chrysocolla with copper drops!!! I have so much fun digging through the pairs of drops at Intrinsic Trading! I also visited Jerry Chiu at New Prosperity Gems (friends of another one of my favorite vendors Toyo Feng!) and got some lovely beads. Here are just a few. We did get our lights back on last night which was a good thing since it got pretty cold and having no heater would have been no fun. Yesterday we did go back to visit Black Hat Trading at the Miners Coop and I was able to get a picture of Jess and Jan Searcy! We hit the Holidome today and we started off at 2 of my favorite vendors to visit - Intrinsic Trading and Trilogy. I got some wonderful melon shaped Red Creek jasper and dangle earring pairs in many different stones from Intrinsic. I got these wonderful carved flowers from Trilogy. We then headed out for lunch and tried the Ajo Cafe at the recommendation of another of my beady friends. It was pretty good, though we got there too late to try the peach cobbler :( They ran out before we got there. We did a bit more wandering up and down the aisles to see if anything jumped out and grabbed me - but nothing did. Tomorrow we hit Gem Mall!